If you want to create relevant content on social media and target your B2B audience, you have to start using LinkedIn video ads. 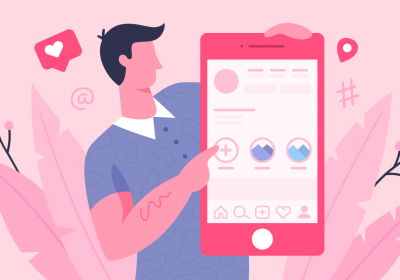 LinkedIn is one of the top social media networks who joined along with Facebook, Instagram, Twitter, and Youtube to launch their own video ads platform. 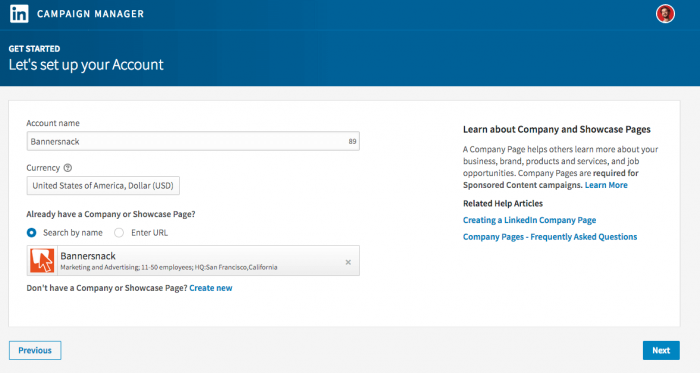 And as you may already know LinkedIn ads are a great way to advertise if you work in the B2B market. It is known that 80% of B2B leads come from LinkedIn and 43% of marketers say that they have sourced a customer from LinkedIn. In this article, we will talk about what LinkedIn video ads are, how to launch your first LinkedIn video ads campaign, how to create these video ads and how to optimize them. What are LinkedIn video ads? 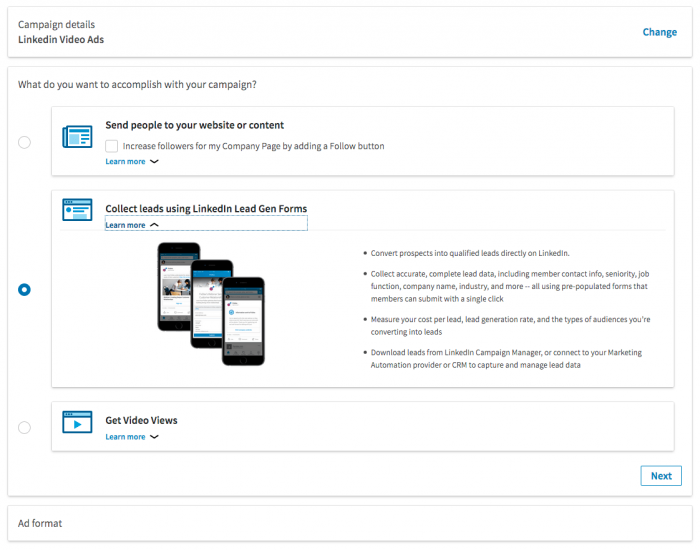 LinkedIn video ads are sponsored pieces of content that can be placed in the LinkedIn news feed as a standalone status. The difference between a native video and a LinkedIn video ad is that the second one has a call to action button, offering the Company page an opportunity to capture leads, grow its brand awareness and grow website traffic. As LinkedIn explains, a company page video is 5x more likely to generate conversation, compared to other types of content. That’s why sponsored videos should be integrated into your strategy if you want to build your brand on LinkedIn. How to launch a LinkedIn video ad campaign? Tell people about your brand using video content. This way you can position your brand in your audience’s mind as a thought leader. You can also use this type of objective to tell a brand story and you can share customer success. For example, General Electric highlighted their brand telling a story about Dustin, who is a Baker Hughes research engineer and who has a hobby: building drones. Tell people why they need your product. 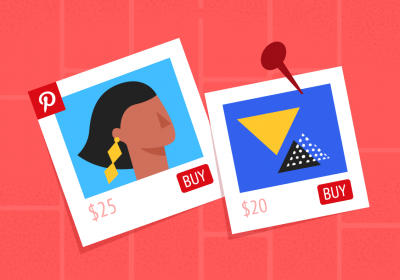 With this type of objective, you can show a quick guide for your product. Also if you want to build your personal brand and you are creating a webinar, you can give a sneak peek of it or you can preview your event. For example, when WP Engine launched their new wpengine.com they created a product demo video where they demonstrated the strength of their digital experience platform. 2. Second step is to click the “Create campaign” button and then select the “Sponsored Content”. Here you can name your campaign and select the objective you want. 3. 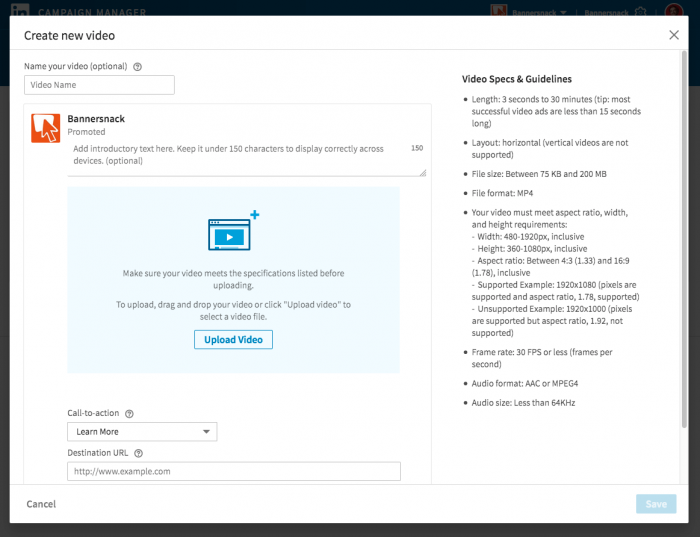 Step 3 is to select the video you want to roll in your sponsored content campaign. Complete the fields, upload your video and click Save. When you click the “Create Video” button, a pop-up will appear where you can upload your video. Here’s where you can name your video, choose a CTA button (Learn More, Apply Now, Download, Get Quote, Sign Up, Subscribe, Register) write down the destination URL and add an Ad Headline (max 70 characters). 4. The final steps. After your video is uploaded you can select the video by checking the box next to it and click Next. Here you can select the target audience. Click next and you can finish your campaign by selecting the bid, budget, and duration of your campaign. When your ad is approved it will start running. How to measure your LinkedIn video ad campaign? After you determined the objective of your campaign you can identify the key numbers based on your campaign goal. Demand generation – conversion rates, leads, cost per conversion. The advertising platform on LinkedIn, Campaign Manager is reporting a wide range of metrics for every campaign you started. On this dashboard, you can see conversions, leads, impressions, clicks, social actions, and total spend. How to create a LinkedIn video ad? Videos are essential for LinkedIn video ads. After all, if you don’t have a video, you can’t run any ads. That means that you can create your own video or you can hire someone to do that for you. In the next example, I will show you how you can easily create a LinkedIn video ad with Bannersnack. First step, you sign up or log in on our platform. Then click the “Create Single” option and choose the custom size where you introduce the size of your video. For the sake of this example, I will use the 960 x 720 px size. Click or drag and drop the file to upload it on Bannersnack. Make sure your file is an .SVG, .JPG, PNG or GIF and have a max. size of 15MB. Here you can create layers and slides where you can showcase your photos as a cool slide animation. After you insert all your photos, write the copy you (you can upload your own font if you want), use shapes and other branded element then you can animate easily. All you have to do is just click the “Magic Animator” button, select an animation template to apply transitions to all the elements of the banner. Click the Save button, name the video and you are ready to download. Make sure that when you download the video you choose the MP4 format. 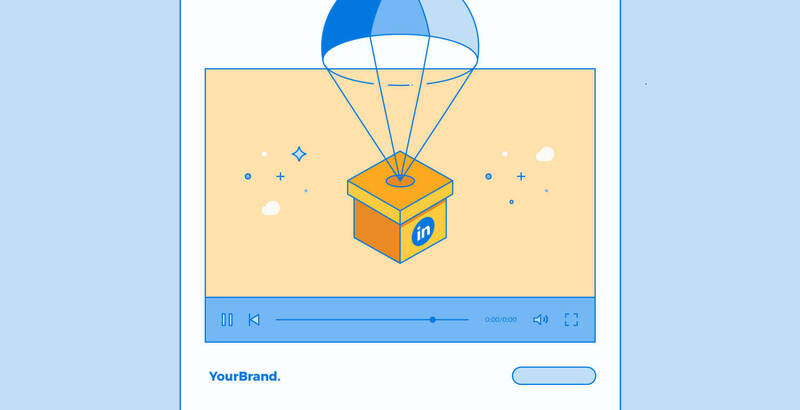 If you want your LinkedIn video ads to drive positive results in your campaign, make sure that your ad headline and text is very descriptive, you feature a clear Call-To-Action and you are very specific with ad targeting. Also if you want to know more about video ad tips on LinkedIn I recommend you to check out their dedicated page about this topic. Now let me know in the comment section below if you already ran a LinkedIn video ad campaign and what results you got. Also, if you have any tips and tricks, make sure you are sharing them with the Bannersnack community!